In the last issue of Compose, Marion shared her unconventional take on time management for writers. In this interview, she describes her memoir-teaching technique, counsels what to look for in a class, and suggests how we can adapt a few of her methods. For the past sixteen years or so, you’ve taught memoir writing classes at The Arts Center in Troy, New York. Why take all that time from your own writing to instruct others? 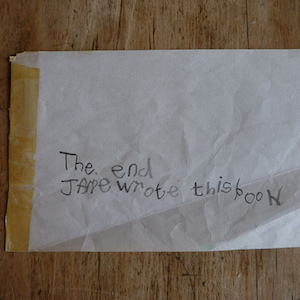 I had no idea I was writing memoir when I started out. I had no idea what I was doing in terms of the genre. I was just angry and hurt because my mother had Alzheimer’s disease. The New York Times Magazine took a huge chance on me by letting me publish a piece on it. At that point, more than four million people in the country were patients, which means sixteen million people were caregivers and relatives. Sixteen million people being affected every day who didn’t know each other existed. The letters started arriving in body-bag size mailbags within a few days and I had no warning. There was no prep for having hit this nerve. Everything in my life changed. It was a remarkable place to start my writing work. Years later it occurred to me, “Oh, you’re writing memoir.” Then I turned to teaching it, because I wanted to have this conversation once a week with people who were writing. It’s absolutely the most wonderful thing to do. It’s also terribly selfish. I wanted to talk about writing with people, but I wanted it to be a dependable conversation with people invested in each other’s success. That element is harder to come by. What does your teaching schedule look like? During the academic year I teach once a week at night. We call it the Wednesday night class and over the years more than one thousand people have gone through it. The Wednesday night class is for any length memoir, but it’s all for memoir. Some people write personal essays, some people write books, some people have never written anything. I usually teach three to four sessions between December and June. I also teach a Master Class once a month for twelve people writing a book-length memoir. So every once in a while, I teach six hours a week. It’s a great big challenge, but I like it. What actually goes on in your classes? It’s different every minute because I don’t get up and lecture. I teach from the work that’s brought in. So it’s like playing ultimate Frisbee and I’m always the goalie. People hurl their stories at me and I try to find what the story is really about, because frequently people think it’s about one thing, but it’s about something else. So it’s the ultimate brain engagement for at least three hours a week. I think the class is so successful (there are huge waiting lists) because I learned that nothing should happen off-stage. Every problem you tackle as a writer the person across from you has gotten into or is about to get into, so everything is done in class. I have 20-some people and we read twelve essays each class—that means twelve different topics for me to discuss. Tempo, timing, action, dialogue, characterization. Telling the truth, what the value of the truth is, and what the consequences of telling the truth will be. I teach from there. Over the years, I’ve made a list of maybe twenty topics to cover. I make sure we cover them all. Sometimes we cover twelve in one night because that’s what happens. I want people in my classes to learn as much and as quickly as possible. The learning curves goes straight up really fast when I put the piece under your face so you can follow it while the person reads it aloud, then I critique it, then I open it up for discussion. People learn more from the critique of other people’s work than they do from their own because they’re so nervous during their own critique they don’t take in the information. I forbid negative gratuitous comments. It’s not that you can’t say “I don’t get it.” But you have to back it up. You have to say “I don’t understand your waffling with this moral point when five paragraphs ago you were very solid on this point.” If you’re going to say something, you’ve got to read this piece well and help the writer make it better. I wouldn’t teach if everybody in that class wasn’t invested in each other’s success. Always look for a class where people are invested in your success. Even if you can only find two good readers, they’ll beat a room full of people who just want to get their stuff read. The teacher has to mold the class into a bunch of people invested in each other’s success. Or what’s the point? How can we apply your methods outside of class? People understand how things sound together only if they can hear their work. That changes everything from the first day. I have a friend who’s a very successful novelist. He writes from 7:00 am to 1:00 pm every day, then he records everything he’s written on an MP3, puts it on his iPod, goes out for a run and listens to it. He comes back and edits in the afternoon. I also think that writers have to get out in the world. I believe in putting a lot of stuff in my head. For me, that means seeing good art. I happen to be a theater person, so my entertainment dollars are spent at the theater. What are you going to do to put stuff in your head? Writers respond to the world. That’s what we do. That’s what all artists do. If we’re not responding to the world, we’re not doing the right thing. It’s with humility and wonder that we respond. I think that we’re obligated as humans to help one another. I genuinely think that helping people write is a tremendous honor. I teach people to write for real. Three weeks out of college, Marion went to work for The New York Times. Four books and countless magazine and radio essays later, the lessons learned at that great newspaper—getting it right and making it short—inform every piece she writes. Most of her work is now in the form of memoir writing, including her most recent book, The Memoir Project, A Thoroughly Non-Standardized Text on Writing & Life, released by Grand Central Publishing in 2011. Her first book, Another Name for Madness (Houghton Mifflin 1985), described the devastating effects of her mother’s battle with Alzheimer’s Disease in an era, not so long ago, when no one had heard of it. 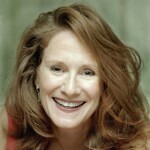 She has also written The Roots of Desire: The Myth, Meaning and Sexual Power of Red Hair (Bloomsbury 2005). Her writing has appeared in The New York Times Magazine, Prevention, Vogue, Good Housekeeping, The Los Angeles Times, and NPR’s All Things Considered. Learn more about Marion at her website, and follow her on Twitter and Facebook. 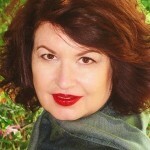 Debra Eve is a nonfiction writer who blogs about creativity and positive aging at Later Bloomer. You can find her most popular essays on Kindle. She also holds an MA in Anthropology from UCLA, where she was the last assistant to archaeologist Marija Gimbutas, a colleague of Joseph Campbell. She helped bring Dr. Gimbutas’s final book, The Living Goddesses, to print. Debra’s current work-in-progress explores the intersection of archaeology and storytelling. She often conducts author interviews at Write It Sideways. You can also find her on Twitter: @DebraEve.